Join our marketplace and find projects to grow your business. Top companies are looking for independent talent in a variety of roles. Find projects that match your skills and expertise with companies that value the knowledge, flexibility and experience of independent talent. We've partnered with industry-leading companies that want to source talent like you for top-tier projects. Our relationship with these companies enables us to offer the best projects to independent professionals who have the expertise they are looking for. We take care of onboarding and meeting client engagement requirements to make sure you get to work as soon as possible. Leading companies are looking for skilled independent talent in all types of roles. The jobs in our marketplace are in a variety of fields - from finance and engineering, to marketing and technology. Sign up today to apply for jobs in your field of expertise! 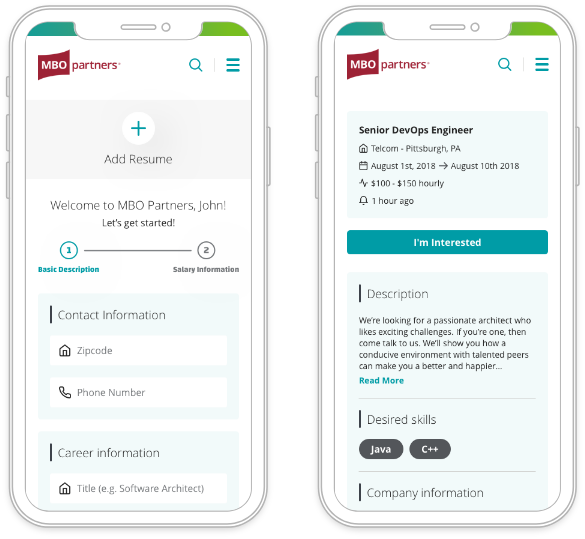 Build a profile that captures your skills and recent projects. 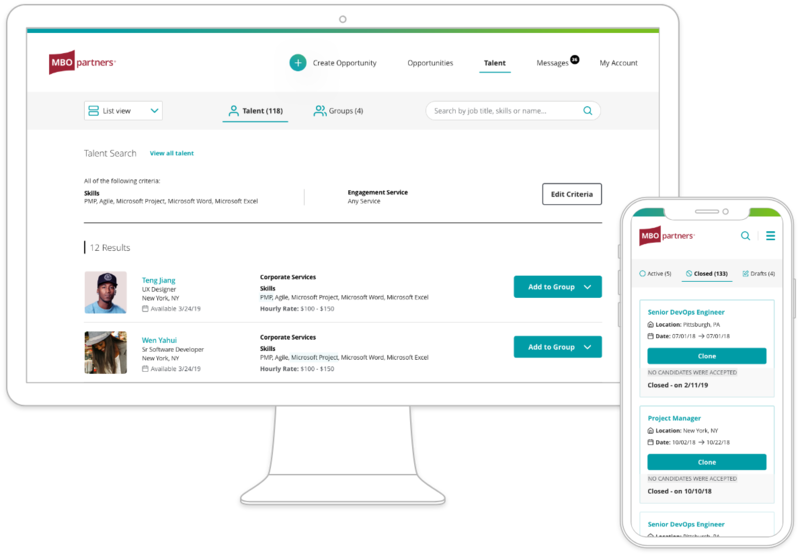 Search for opportunities and match with projects that fit your skills, availability, and rate. Hiring managers can also search profiles to proactively find talent like you. Choose the project you're interested in to notify the hiring manager that you are interested. Ready to find your next project?